Sahastrakund waterfalls are at Umarkhed boundry of Nanded, yavatmai district on penganga river. 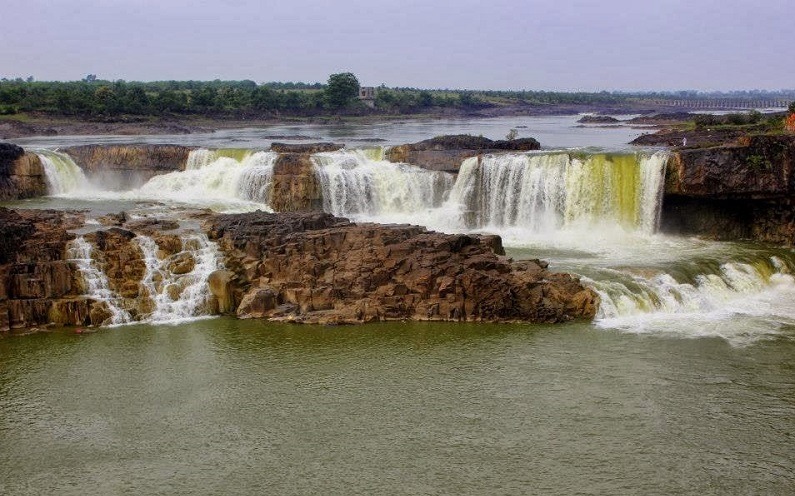 This waterfall is at a distance of 5km from Islahpur village, about 60km distance from Nimal, nearly 100km distance from Nanded, about 117km distance from Adilabad and 280km distance from the capital of Telangana i.e Hyderabad. Sahastrakund waterfall is a tributary of Godavari river. There is a tower neary to watch the waterfalls and sourrounding nature at the place. The tourists should be very careful while getting into the water as the rocks are very slippery and the it is adviseable not to get into water in peak monsoons as the flow of water will be high in the season. The tourist can visit any time in the year but Best time to visit is in the months of August – september means in peak monsoons.